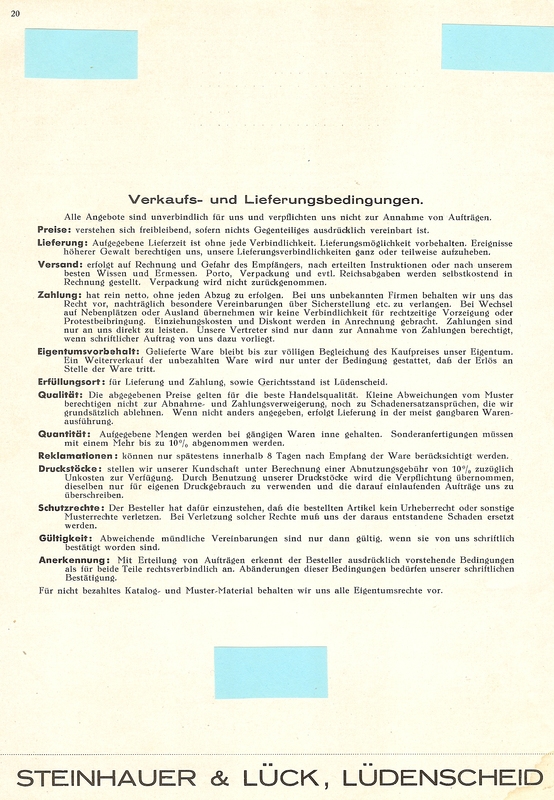 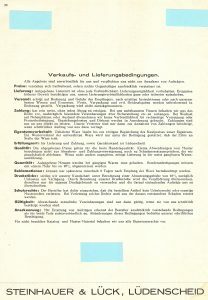 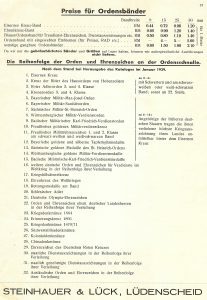 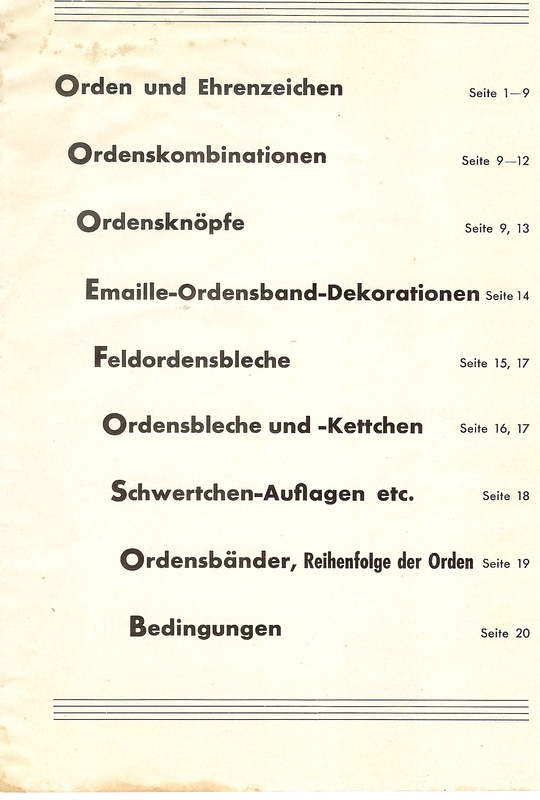 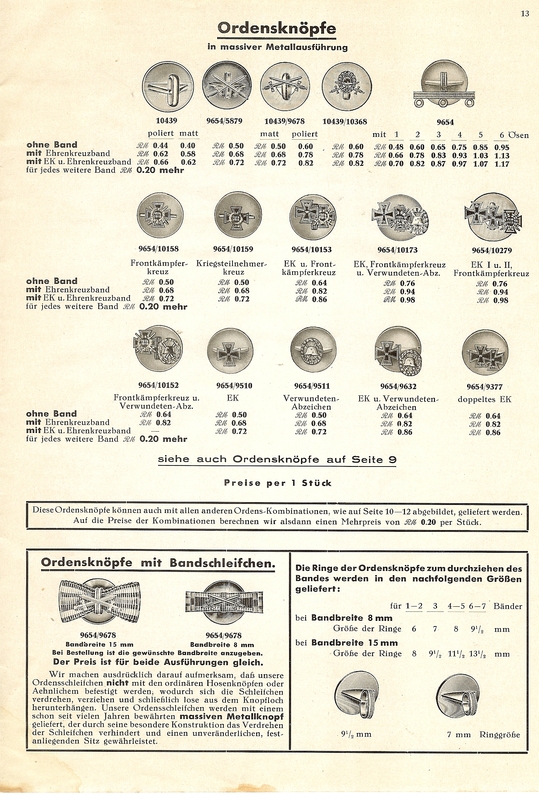 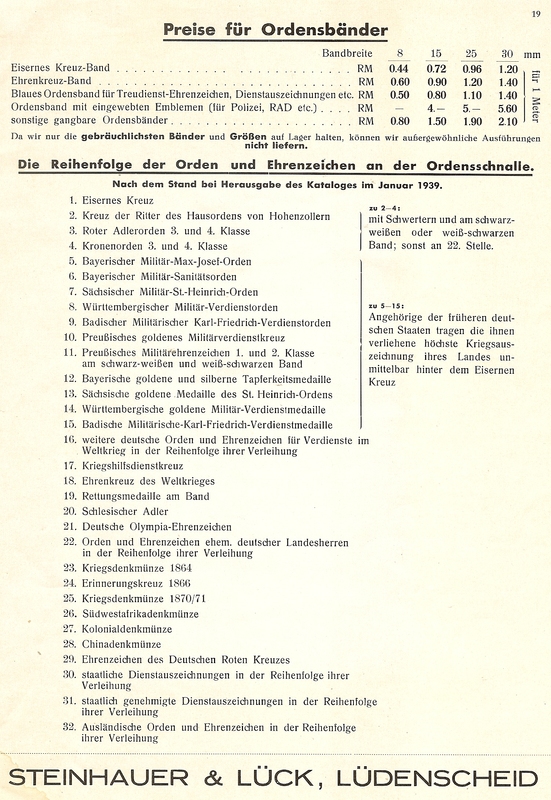 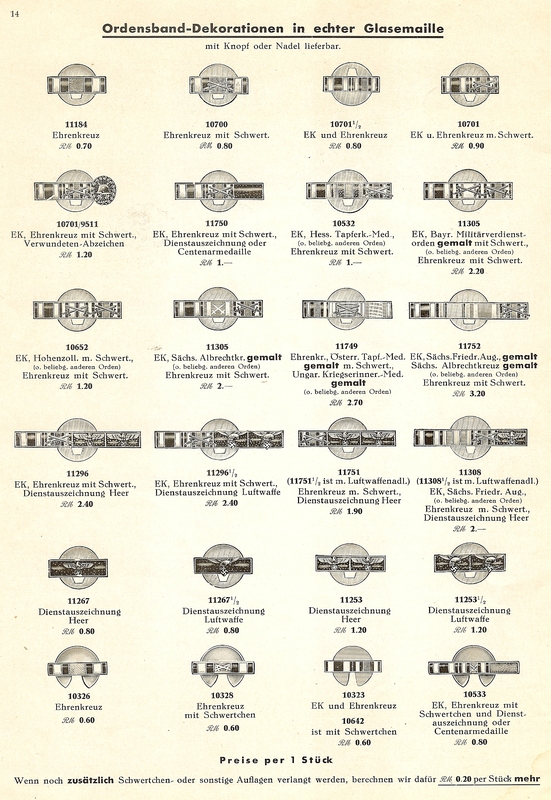 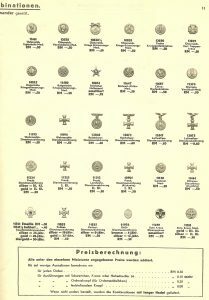 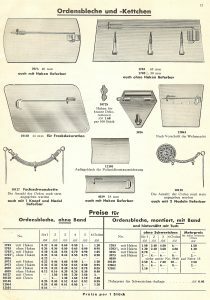 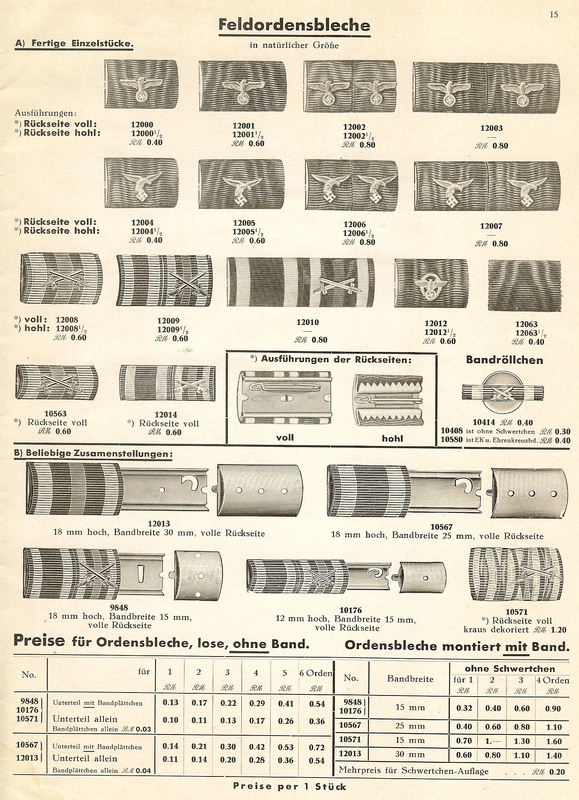 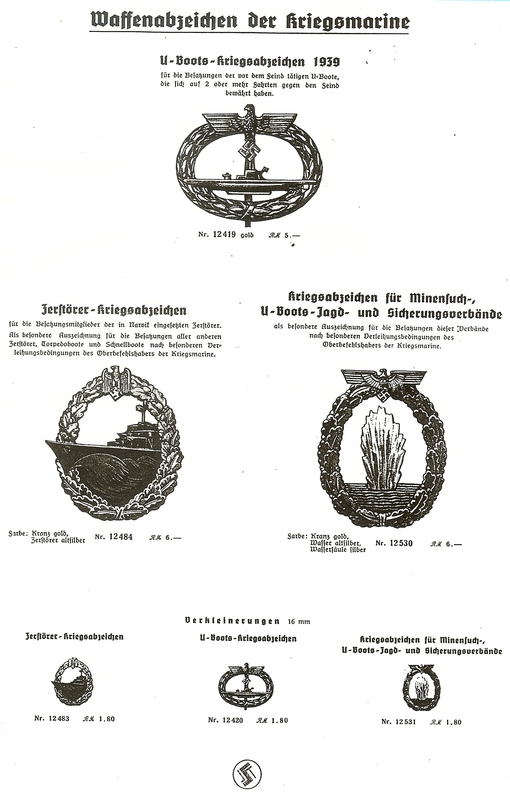 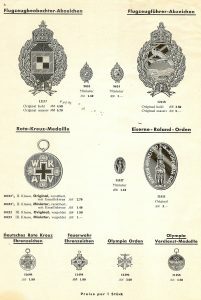 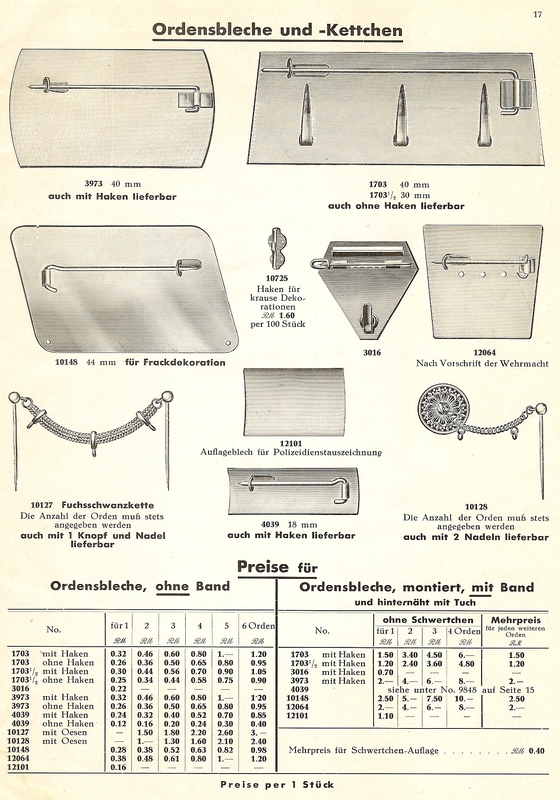 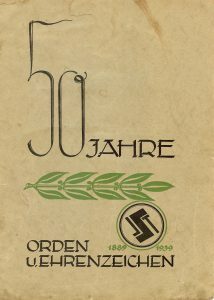 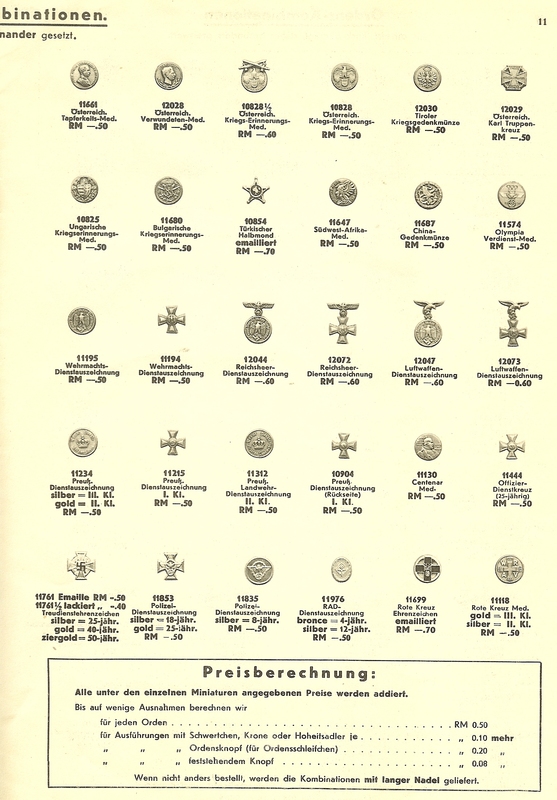 We are presenting a complete copy of the Steinhauer and Lück medal catalog from 1939 with the important 1940 additions. This is part of a series taken directly from original, illustrated material and shows pieces that were period in original and their construction. 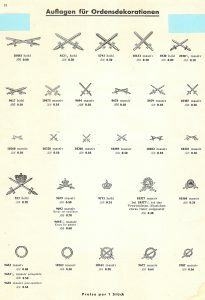 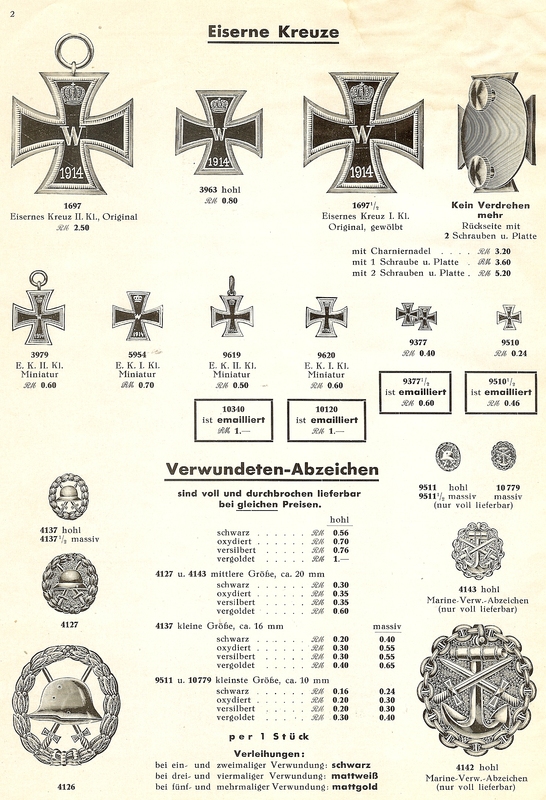 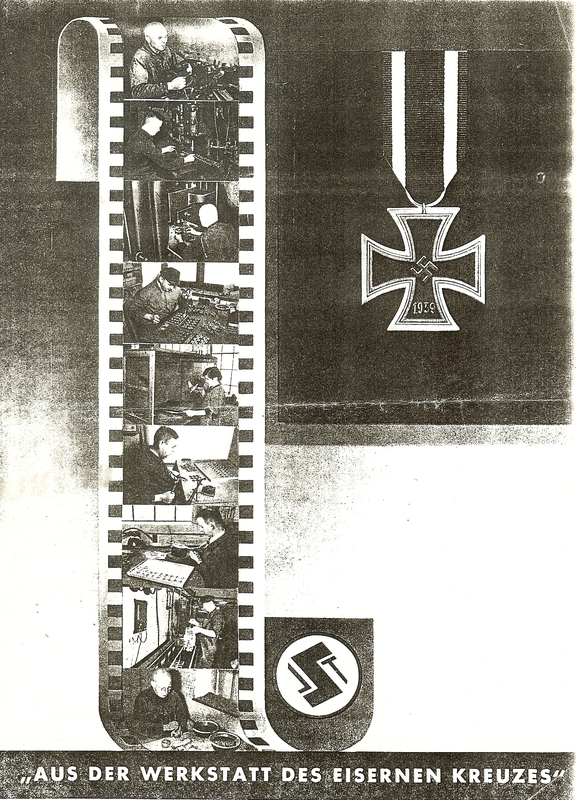 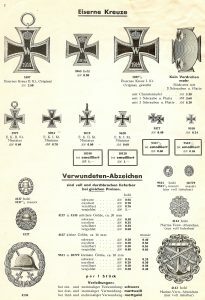 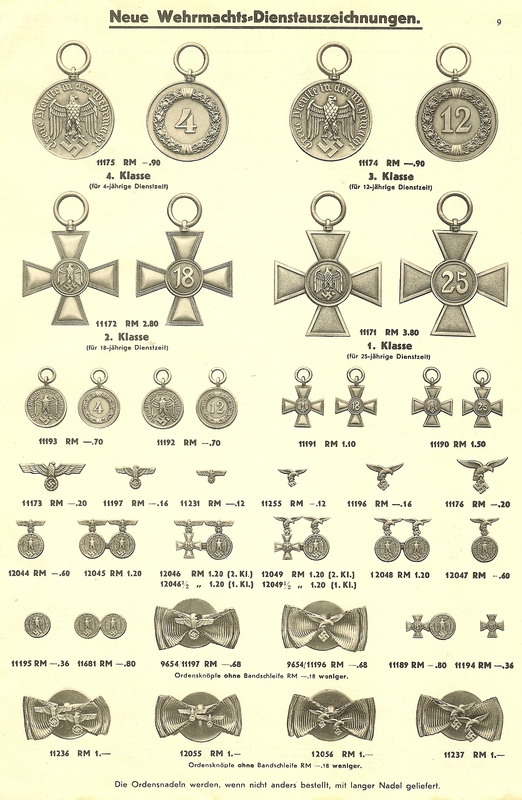 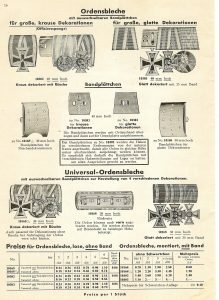 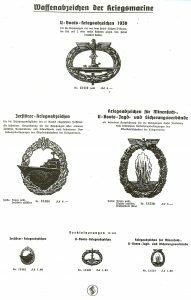 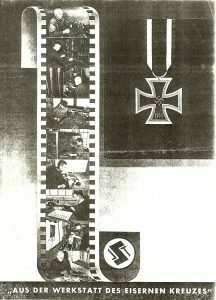 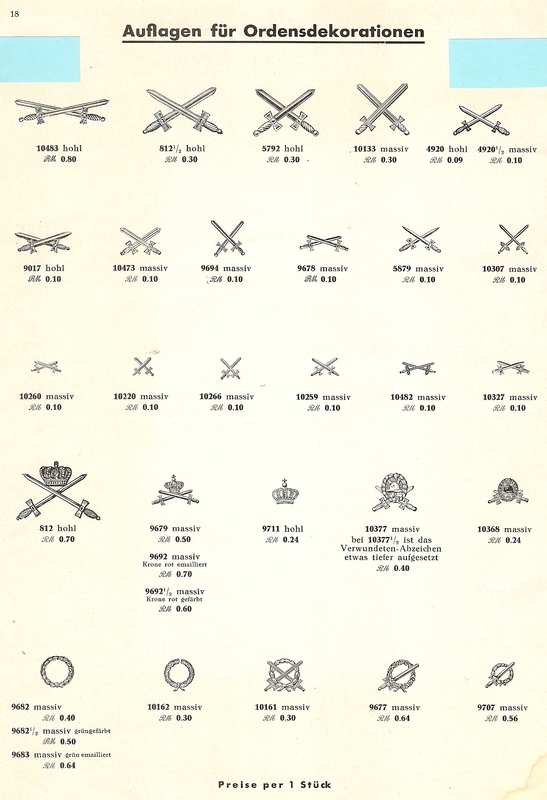 We will cover also Imperial German, Imperial Russian, flags, standards and gorgets from the German Imperial period, swords of Imperial Germany and uniforms and equipment of the Imperial and Third Reich from period works. 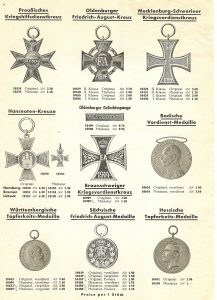 It is hoped that such a series will assist genuine collectors in their quest for original pieces and also to answer, officially, questions that amateur clubs and forums cannot. 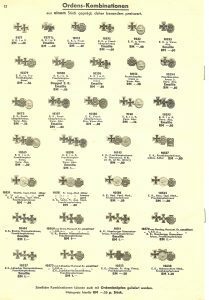 Congratulations on posting the original S&L catalogue on your site. 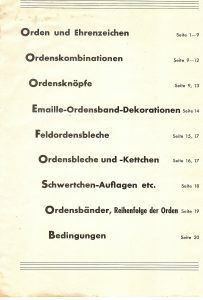 It will be very helpful to me and many other collectors, I’m sure. 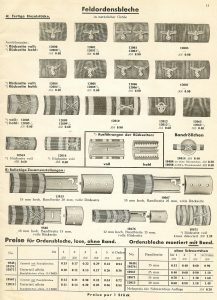 These line drawings are in many cases clearer than photographs. 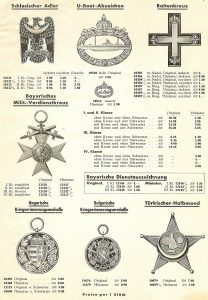 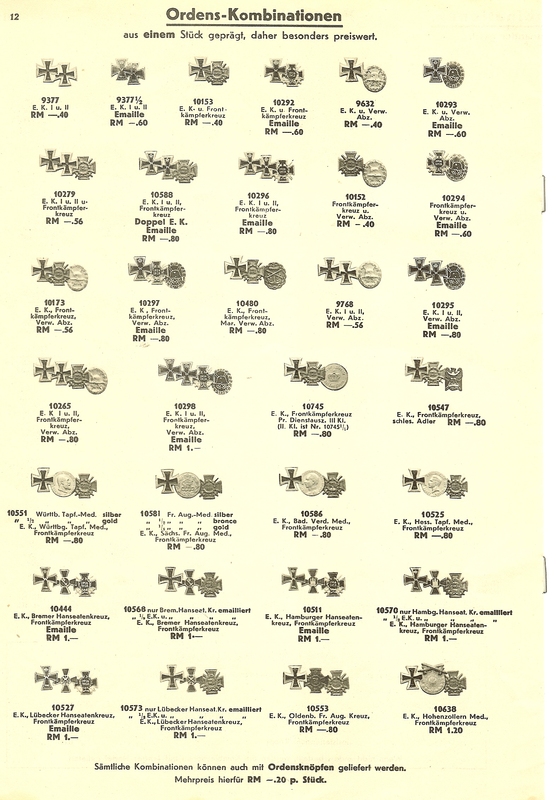 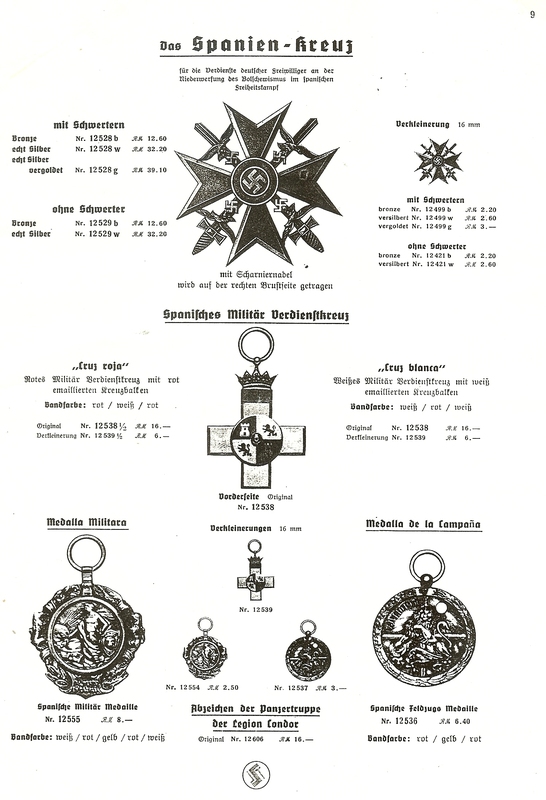 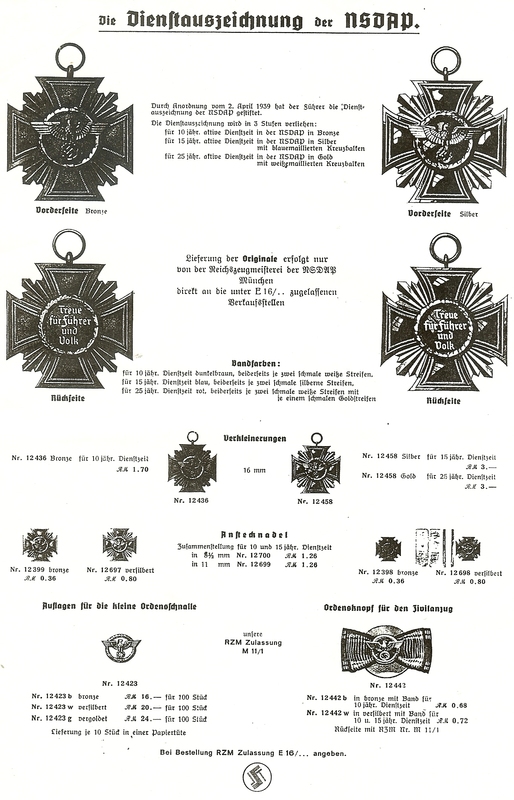 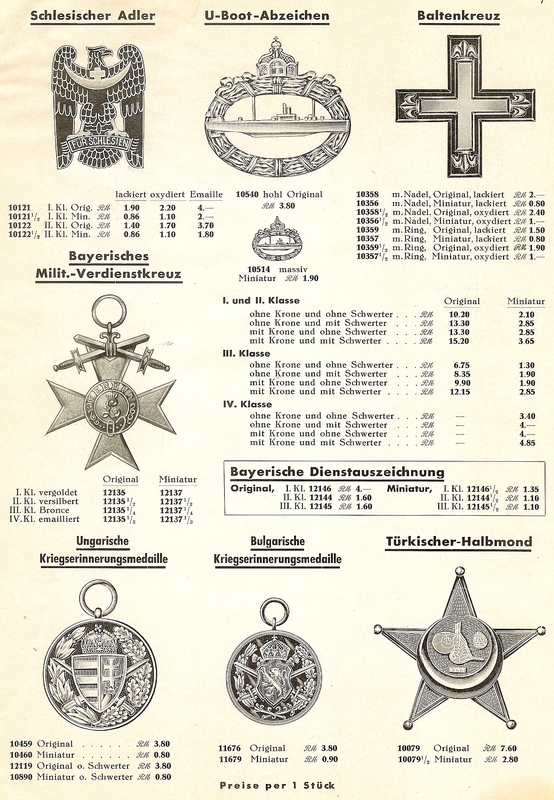 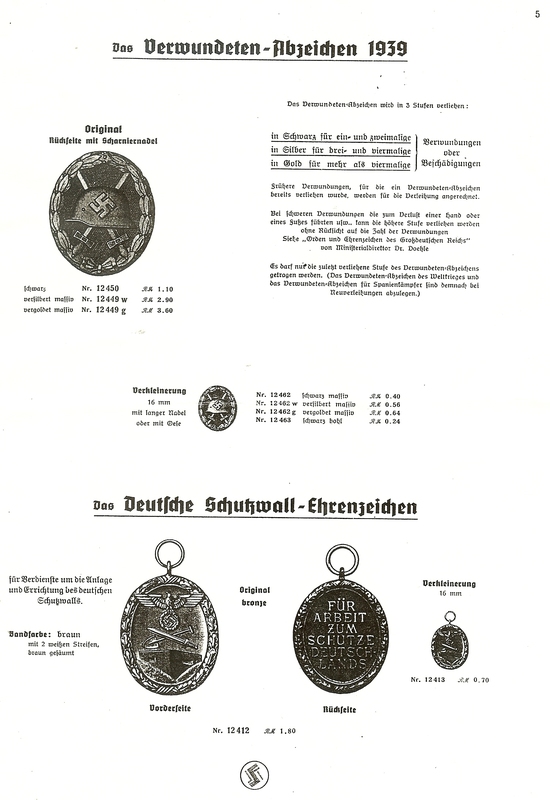 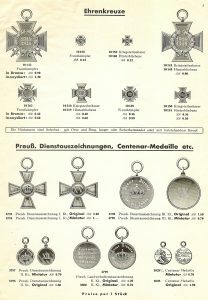 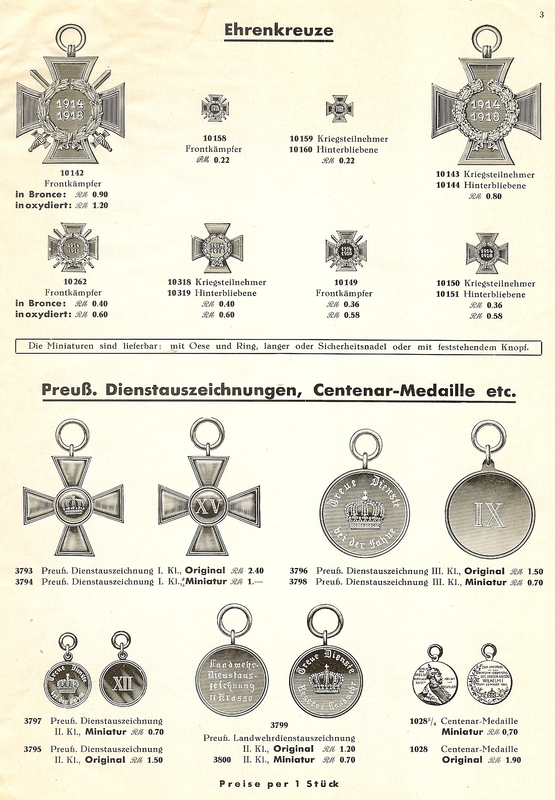 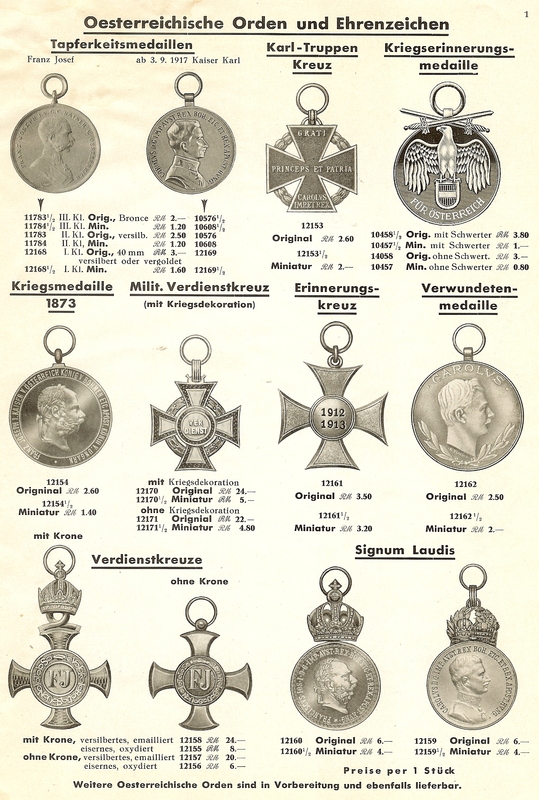 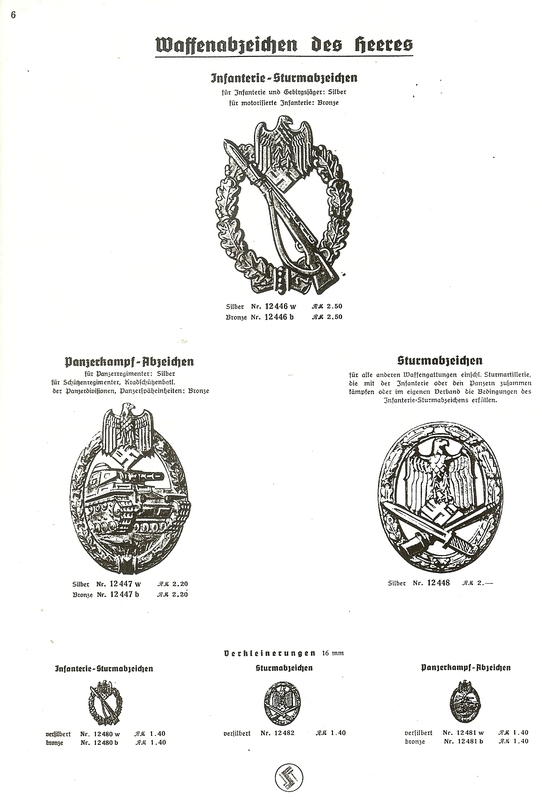 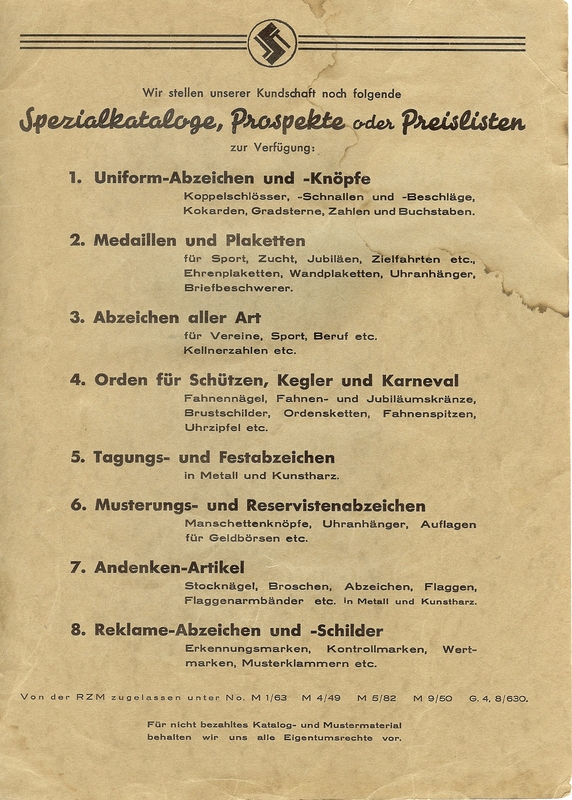 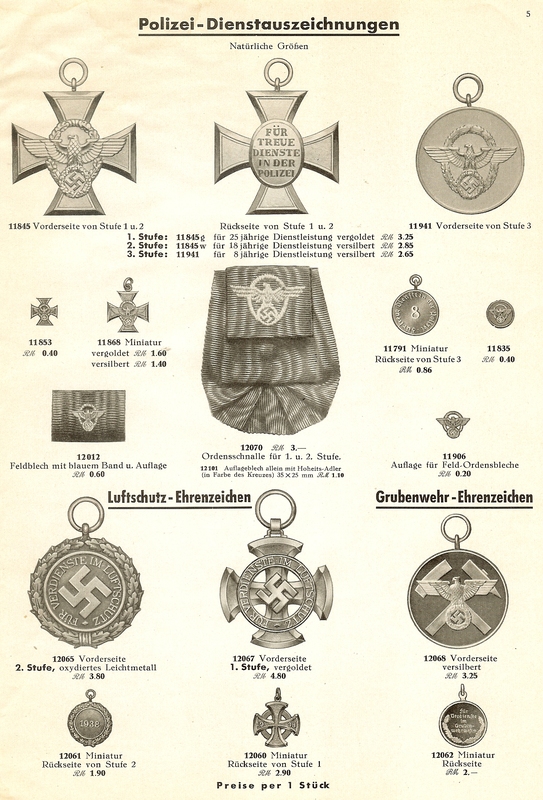 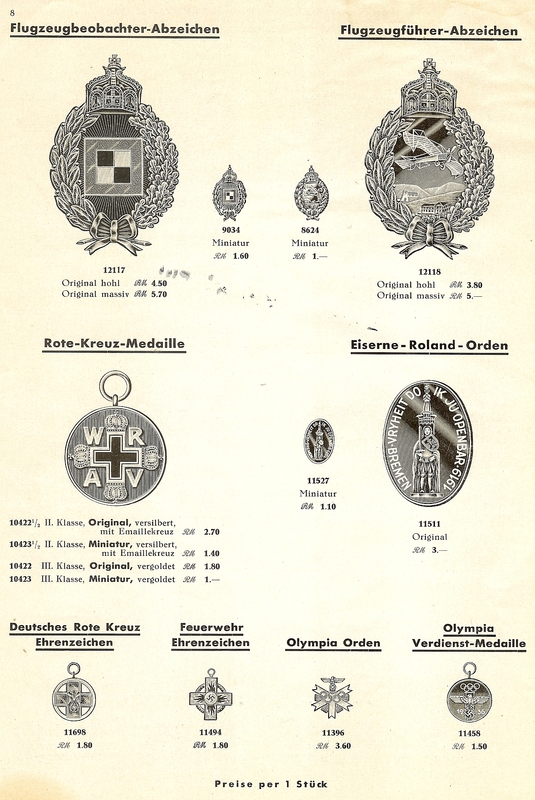 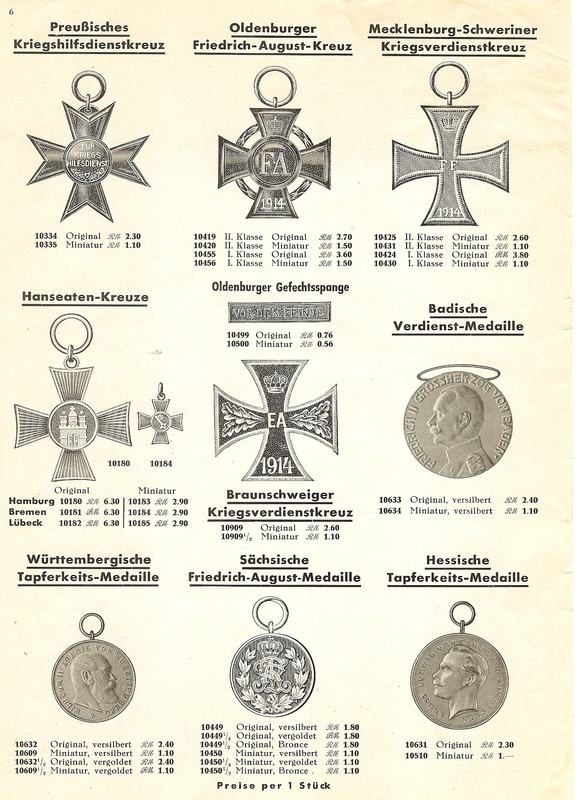 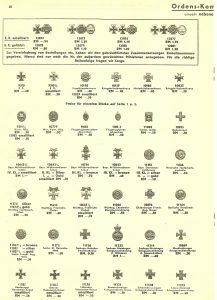 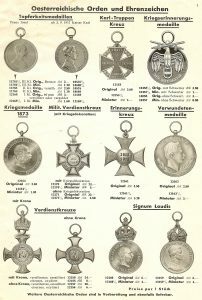 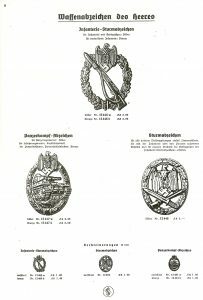 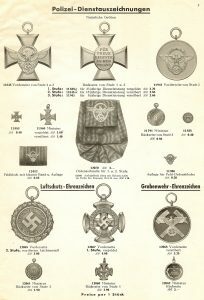 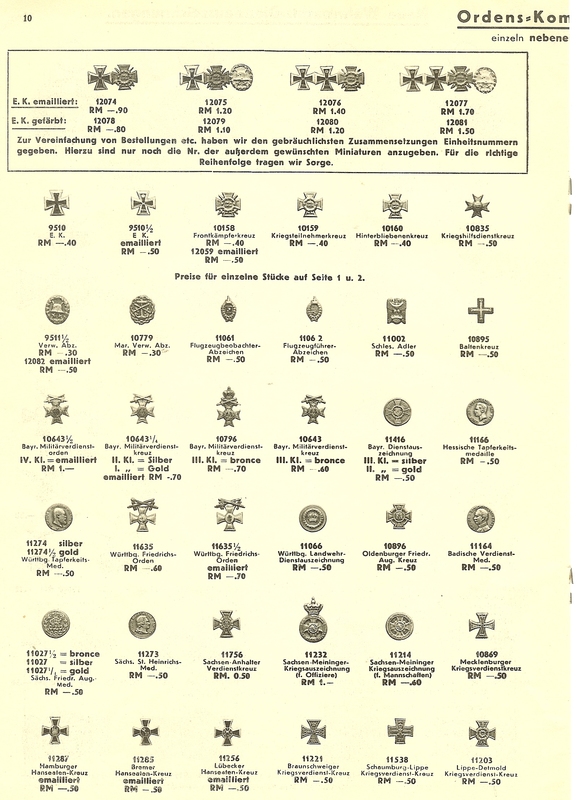 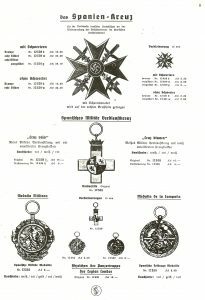 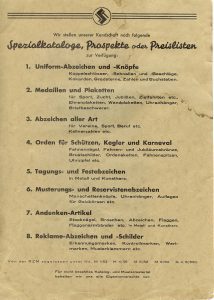 Most interesting especially to see the original Reichsmark prices on these orders and medals, which now command such fortunes! 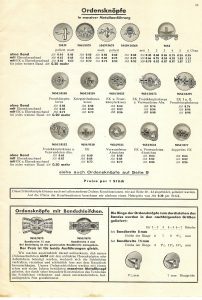 What a refreshing change from the silly nonsense and wild opinions found on other so-called collector sites. 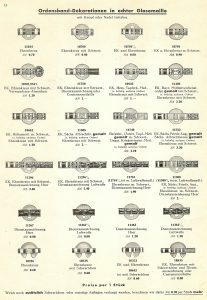 I am looking forward to more such informative postings. 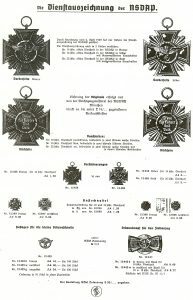 Keep up your good work.